Being an Exchange Administrator, you might be having all the email archiving tools that are highly result-oriented in the world full of mass data export to and from Exchange to other platforms for various reasons. You can export everything a mailbox contains such as emails from sent and received folders, sub-folders, calendars, tasks, etc. 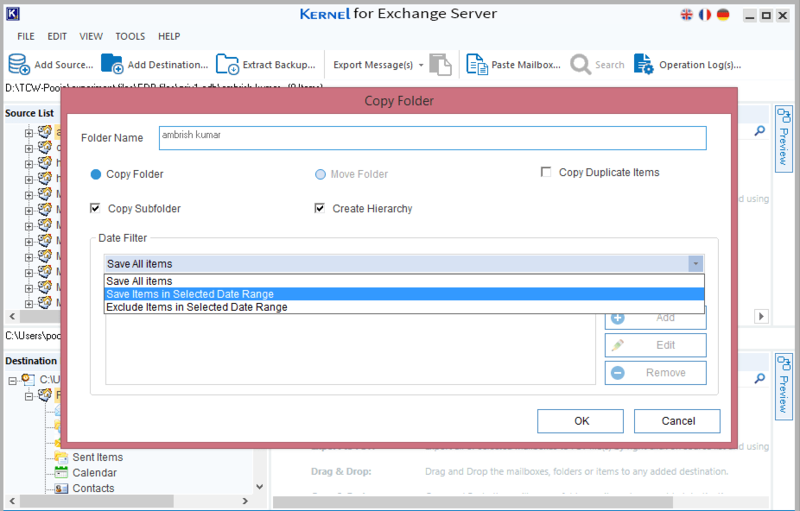 But, if you want to perform an export of Exchange mailbox data for a particular date range, do it with the help of suggested methods. 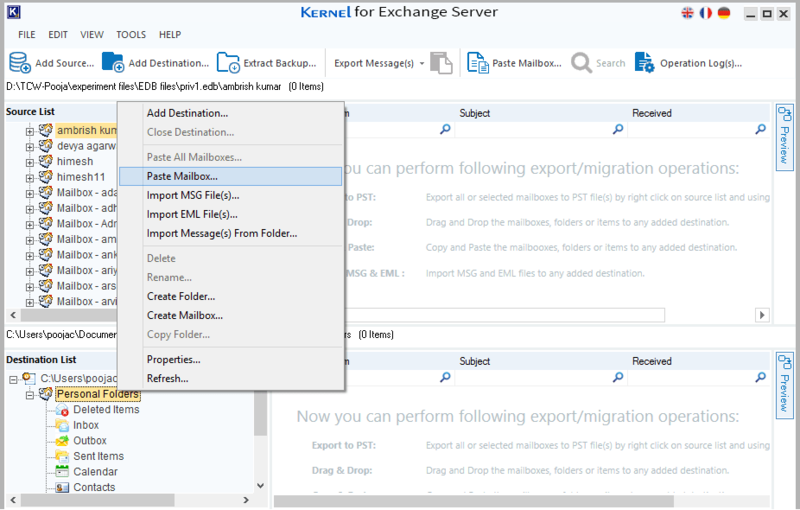 Please Note: You can perform an export of Exchange mailbox to a PST file for Exchange Server 2016, 2013 and 2010. 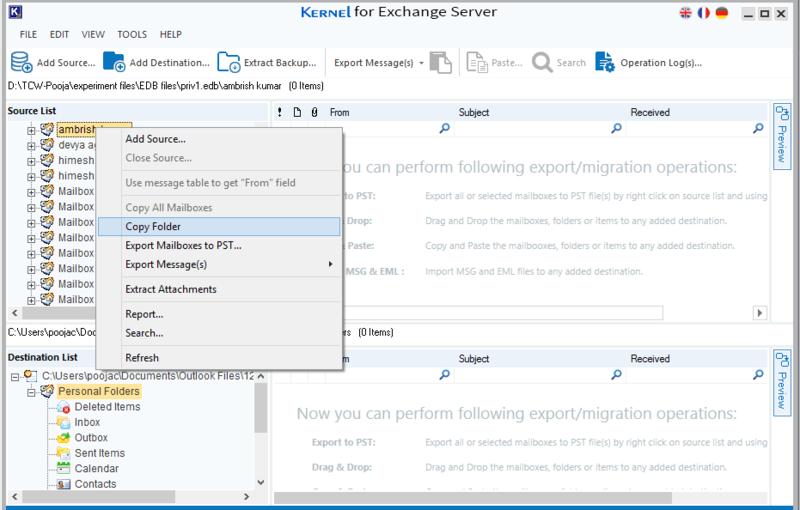 Please Note: The name of the Exchange mailbox is “Report”, used in PowerShell commands. The second and the best method that is advised by IT technical experts to export specific data by date range is a third-party tool for converting EDB files to PST file. The most recommended EDB to PST converter tool that is facilitated to segregate data by date range and converts it to PST file successfully is Kernel for EDB to PST Converter software. 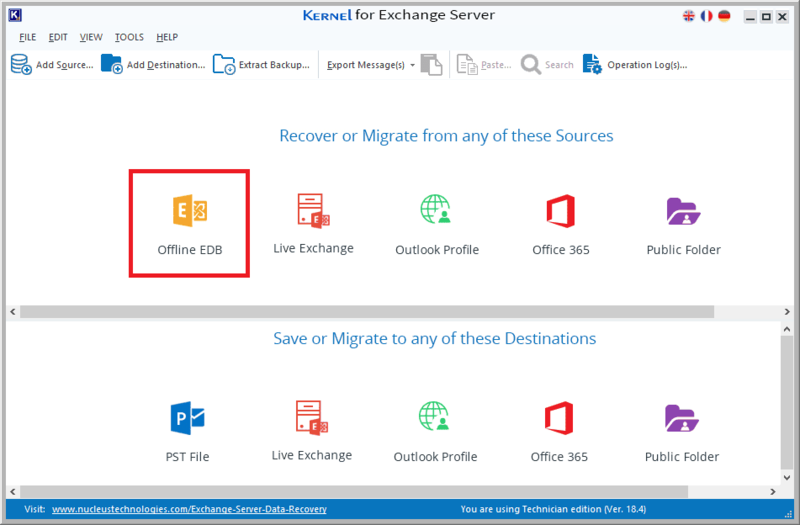 Step 1: Install and Run Kernel for Exchange Server software, click Offline EDB to add as source. Step 2: Select the EDB scanning mode amongst Standard and Deep scan mode and click Next button to proceed further. 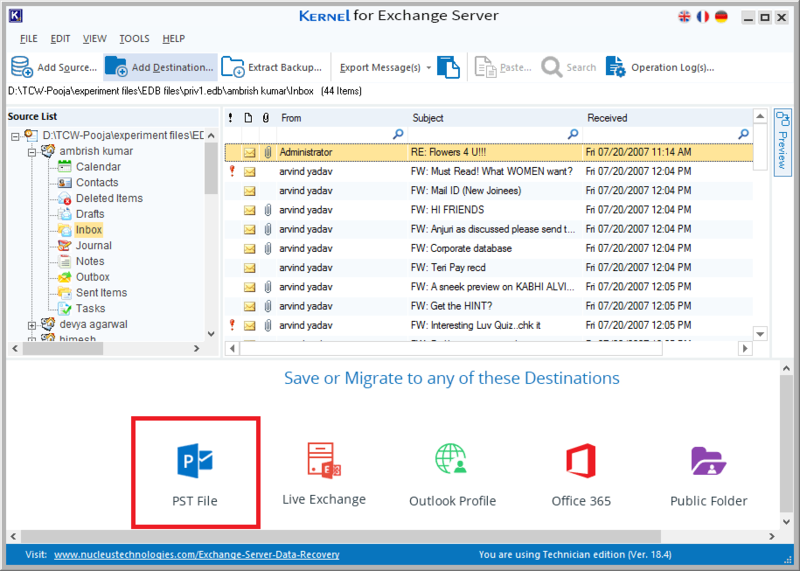 Step 3: Now, select PST file option as destination to save the converted EDB file data. Step 4: Choose Create New PST File from the destination options and click Next button. Step 5: Copy the desired mailbox folder by right clicking on it as shown in screenshot below. Step 6: Now, paste the copied mailbox in the previous, refer the screenshot provided for clearly understanding the step. 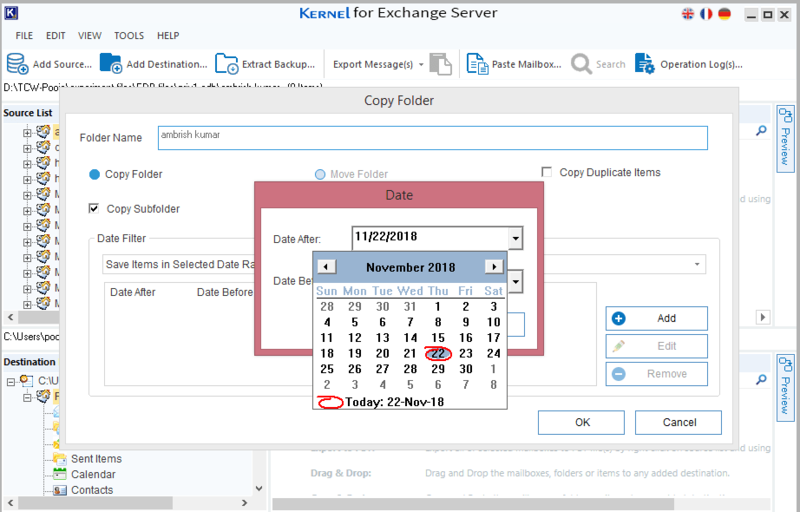 Step 7: Once you hit the Paste Mailbox option in Step 6, you will be prompted with Date Filter option for exporting specific date range data from EDB mailbox to PST by select Save items in Selected Date Range from the drop-down list. Step 8: Click the Add button to add Date After and Date Before for exporting specific data to PST. Click OK to finish the export process. 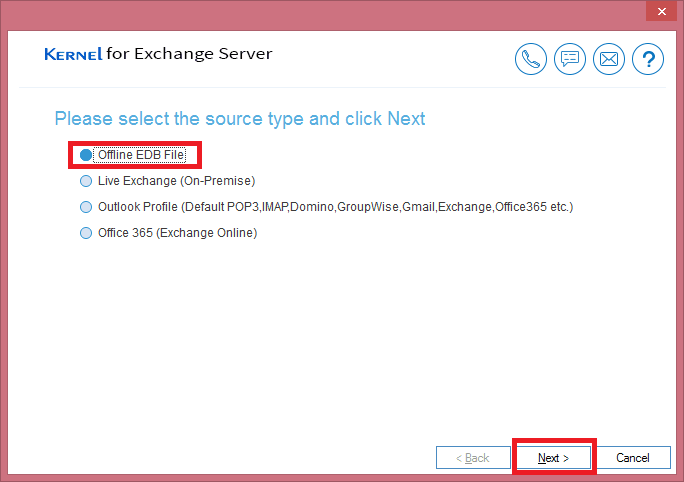 With the help of EDB to PST converter you can not only convert EDB to PST, but you can also export Live Exchange, Outlook profile, Office 365 and Public folders to PST file, Live Exchange, Outlook profile, Office 365 mailbox, and Public Folder. This hassle-free Exchange recovery tool understands all the ins and outs of EDB file related platforms. You can mention your queries in the comments section for more information.